I am the type of woman who has two ‘obsessions’ with her beauty routine: hair and nails. Every woman has her own shtick about what her deal breaker is when it comes to her beauty regimen and her budget. I, for one, cannot and will not go without nicely done nails on hands and feet. Now that the weather is getting warmer and the sandals and flip flops are out in full force, women everywhere are flocking to get their hands and feet out of hibernation. Every year there are nails trends that return and there are also new trends that follow suit. This year, there is an added trend of pastels and metallic to the lighter shades. The various shades of peach, oranges, and reds are always a classic for Spring, the color giving life to your tips and your life. I have always been a fan of the classics: white, beige, French (don’t mock the French, guys, it’ll always be in), nudes and pinks. 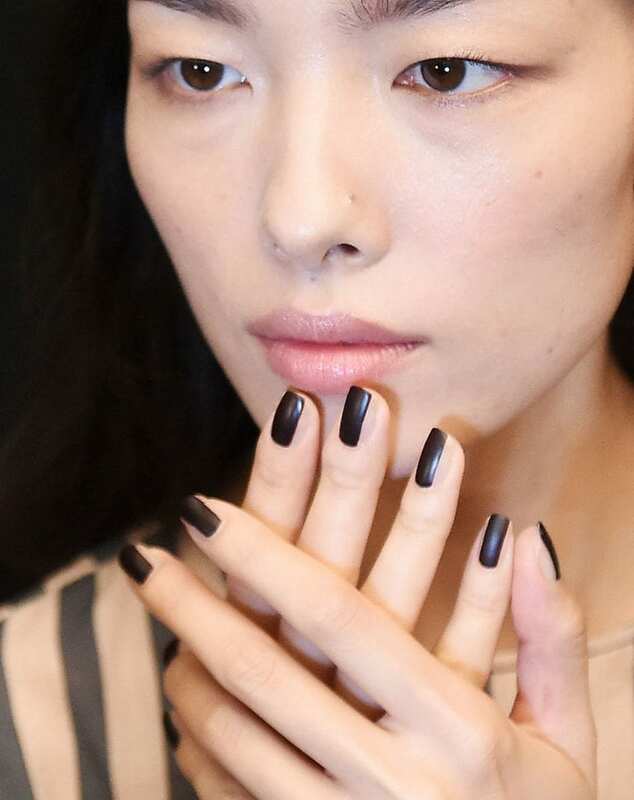 Nail trends have a knack for getting started on the runway. Every Spring/Summer collection by a designer is topped off with makeup and nails (hair is also important but less trend-setting). The nails on the runways of the Spring collections set the tone for the newest colors and designs to hit nails salons and women’s hands everywhere. For example, the nail artist for Vera Wang’s runway show, Jin Soon Choi, decided on two versions, one light, and one dark, of a striped nail. Here we see the dark version on the model, with a thick line of dark color in the middle of the nail, topped off with a matte top coat. Another designer making nail waves is Rodarte. They used Morgan Taylor Lacquer’s lead artist to accentuate the nails by adding much-needed shine to the cuticle area. The nail itself has a simple sheer coat of polish, while there is a fine line of glitter and gold that is applied around the nail right on the other end of the cuticle. This look is such a refreshing take on the entire glitter polish endeavor. Designers go very far on the runway when it comes to nail art and such when it gets to the modern-day consumer, it is a tamer version of the out there look. Women are less interested in the jewel nails, heavy nail art, and different colored nails than they were a couple of years ago. Classic is back in style and we see it in this season’s preferred nail trends. There is a constant rise in gel manicures thanks to its instant-drying and two-week staying capabilities. However, if you are getting a regular manicure or pedicure, the most important thing about the whole process is the make sure a good base and top coat are used before and after the nail polish application. It’s all about those two coats that make or break that gorgeous color you just put on your tips.